Reebok Classic Blacktop Basketball – Finding time for balling on hardwood is tough. Unless you have a membership at a spectacular gym, or keys to the local Y, you were relegated to asphalt. Reebok created the Blacktop series to take on street ball with thick rubber outsoles that were more durable. The silhouette of the shoe had a distinct, almost clunky design, and is cemented in nineties culture. 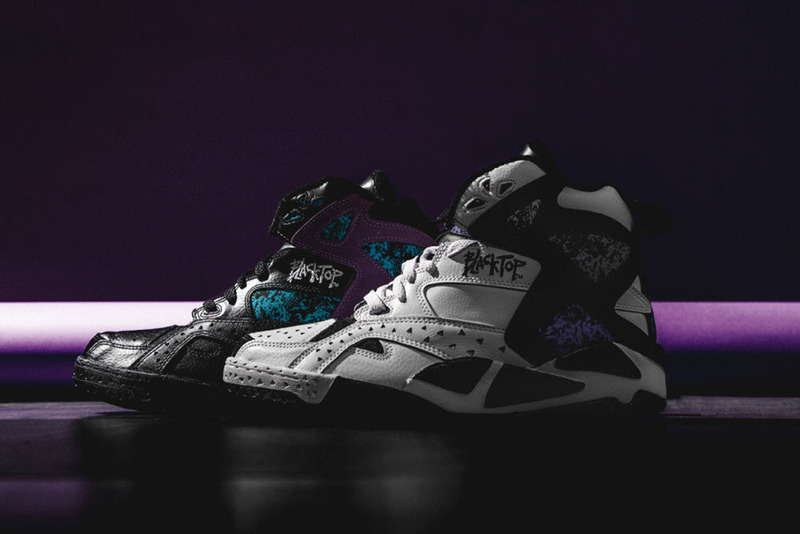 Reebok brings back the Blacktop series with two new colorways replete with Hexalite cushioning and the Pump system. 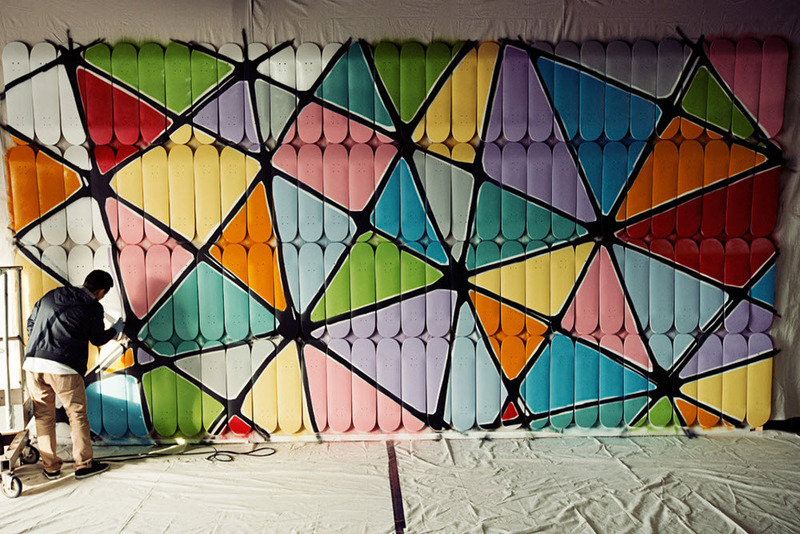 PUSH for Element – As one of the leading members of the art collective The Seventh Letter, PUSH has distinguished his work with his abstract brand of graffiti. His use of spray paint and brush work has been featured across the murals at The Berrics and now makes its way to Element. The skate brand has tapped PUSH for a series of T-shirts, tanks, caps, and skateboards featuring his unique work. Each piece arrives with PUSH’s signature multi-colored linear work, and available now. 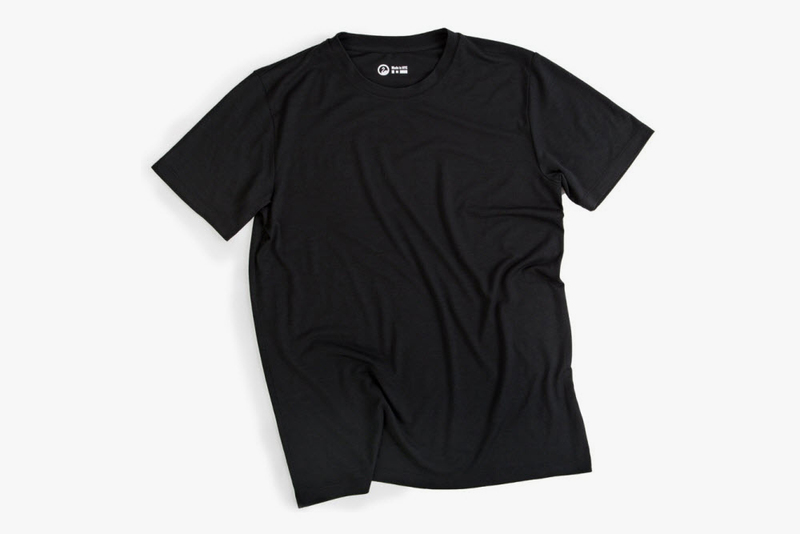 Outlier Runweight Tee – Merino wool was reserved for v-neck sweaters and cardigans until companies like Outlier started experimenting with it. The textile is no longer just for business apparel, but being applied across athletic pieces. The new Runweight tee has Outlier adding Thermocool polyester to the warm luxurious feel of Merino wool. The result is a athletic tee that is quick-drying, lightweight, and cools the body. If the gym is another stop before you head to work, then take the time for a quick look. Baxter Hot Towel Solution – Before that super close-up shave at an old-timey barbershop was the ritualistic hot towel treatment. The hot towel prepped the skin for shaving and has now been replicated by Baxter of California. The Hot Towel solution is Baxter’s own formula of essential oils to help tone and moisturize your skin before and after the shave. 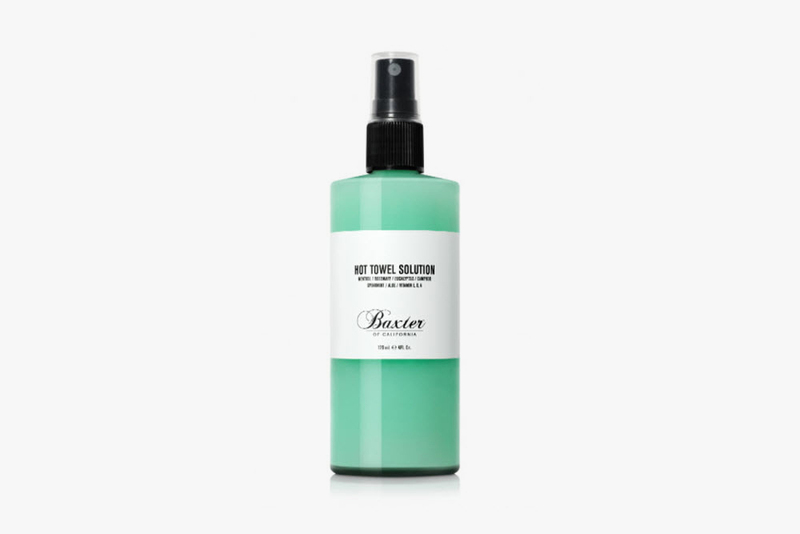 The formula features a distinct combination of menthol, rosemary, eucalyptus, camphor and spearmint and is fortified with aloe extract and vitamins E, D and A. Besides getting a nice shave you get to smell good, too. 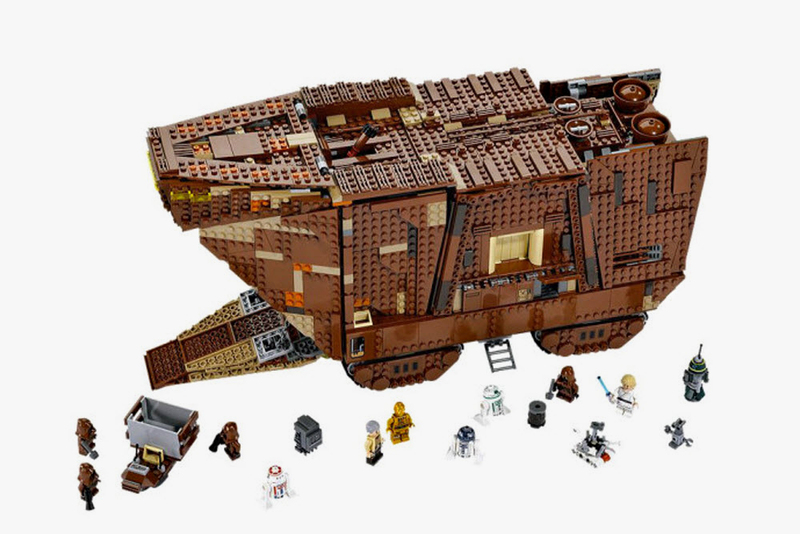 Sandcrawler – The Lego collaboration with Star Wars is a runaway success. After the success of the Millenium Falcon, the Death Star Lego is taking risks and satiating their long-term fans. The latest is the Sandcrawler, a mobile homebase used by the Jawas across the arid landscape of Tatooine. The collectible Lego set features an operable ramp, hatches and caterpillar tracks with complete steering functions, and details that include a suction crane, engine, storage bay, cockpit, and a speeder bike. That’s not all! There are also a ton of mini-figures like Luke Skywalker, Uncle Owen, R2-D2, C-3PO R2 Unit, R1-Series Droid, Gonk Droid, R5-D4, Treadwell Droid, and 4 Jawas.